Wegener is the first non-architect partner in the firm’s 57-year history. 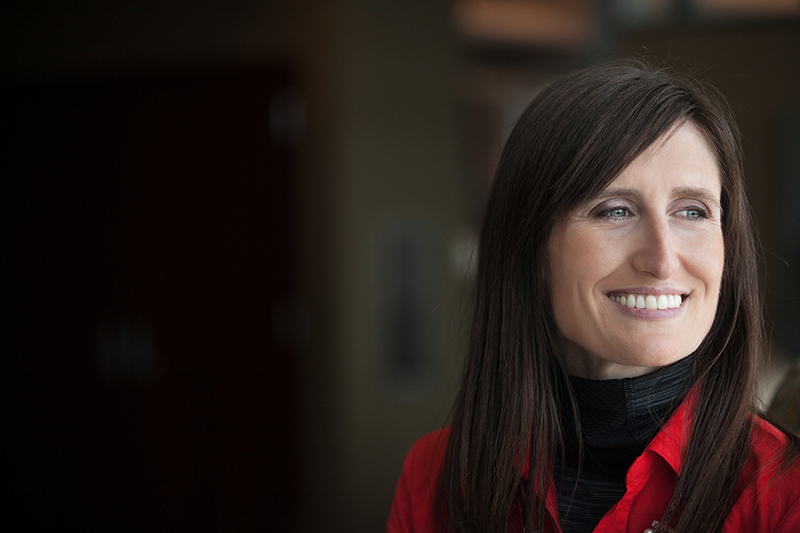 Brooke Wegener, Director of Marketing, has become a partner at Koch Hazard Architects. She is a Sioux Falls native with a Bachelor of Liberal Arts degree from the University of Northern Iowa and an O’Gorman High School graduate. Wegener has been with Koch Hazard Architects since 2011. Wegener is the first non-architect partner in the firm’s 57-year history. Wegener began her career at Koch Hazard Architects as the Marketing and Graphics Coordinator. Since that time, she has added the responsibilities of strategic human resources, business development, project management, social and community development, and strategic planning. She and her husband Dan, an Irrigation and Turf Expert with Landscape Garden Center, have four children, EJ, 10, Gracyn, 7, Lawson, 5 and Kavin, 1. In addition to family, Wegener is involved with the Dakota Alliance Soccer Club, the Media One Funski event committee, Children’s Inn and Children’s Home Society. Past volunteer organizations include: EmBe, Dress for Success Sioux Falls, CASA, Sioux Falls Design Center and the Plain Green Conference. Wegener joins Jeff Hazard, CEO, AIA, LEED AP, Stacey McMahan, President, AIA, LEED AP, BD+C, and Keith Thompson, Vice President, AIA, LEED AP BD+C in leadership. Hazard joined the firm in 1988 as an Architect, becoming CEO in 2001. McMahan started at Koch Hazard Architects in 1997 as a CAD jockey and became a partner and the Sustainability Director in 1999. Thompson began his career at the firm as an intern. After a brief stint in Chicago, he came back to Koch Hazard as a Project Manager and became a licensed architect, joining as a partner in 2015, following the successful completion of the Denny Sanford Premier Center project, and a handful of other projects. He became the youngest partner in firm history at age 34. The firm received national recognition in 2010 when McMahan was selected to represent the American Institute of Architects and U.S. Green Building Council in the Haiti rebuilding efforts following their devastating earthquake, and in 2011 when Maroney Commons in Howard, SD received an EPA (United States Environmental Protection Agency) National Award for Smart Growth Achievement.